For a house that's pretty quiet in Medina in 2019, the people who know the history of the McDowell-Phillips house know it stands out because it was designed that way on purpose. MEDINA, Ohio — For a house that's pretty quiet in Medina in 2019, the people who know the history of the McDowell-Phillips house know it stands out because it was designed that way on purpose. "Being probably one of the most prominent people in the village, they wanted to make a statement," said local historian Joann King. "It was fun. People knew where the McDowell's lived." The large entryway, complete with a fireplace, will help give visitors more room to move around the McDowell-Phillips house once the Medina County Historical Society takes it over. The home was built in 1890 by R.M. McDowell, the son-in-law of H.G. Blake, a State Representative, U.S. Congressman, abolitionist, and reported friend to President Abraham Lincoln. McDowell took over the Old Phoenix Bank from Blake while he and his family enjoyed 14 spacious rooms, seven fireplaces, and a view right down the street to the village square. An envelope inside the home shows how unspecific mailing addresses could be in the late 1800's and early 1900's. "In the winter, there were sleigh races from this house to the square," said King. The home's owner looks through a trunk with old family possessions in the home. 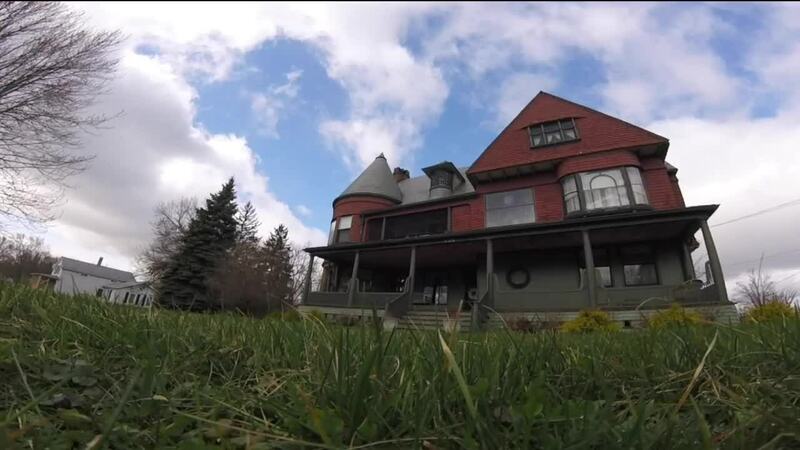 The home has been owned by McDowell's descendants for 130 years but now they're leaving. The family reached out to the Medina County Historical Society to see if they could use the building. Brian Feron looks at a copy of the home's original blueprints. Feron and King say many other original documents are still inside the home. "[That] thrills us because of the space it would lend to be a venue for events, educational seminars is fantastic," said Medina County Historical Society President Brian Feron. The side entrance to the home shows an overhang where carriages could deliver guests directly to the home's back porch. The historical society needs the room. The McDowell-Phillips house will give them the space they need because they've been in the John Smart house a few blocks away since the 1980s and have simply run out of space. Pictures of the home and original inhabitants sit over a fireplace with "Salve" written on it, a greeting in Latin. "Our board has been discussing additional space for probably the last ten years," said Feron. 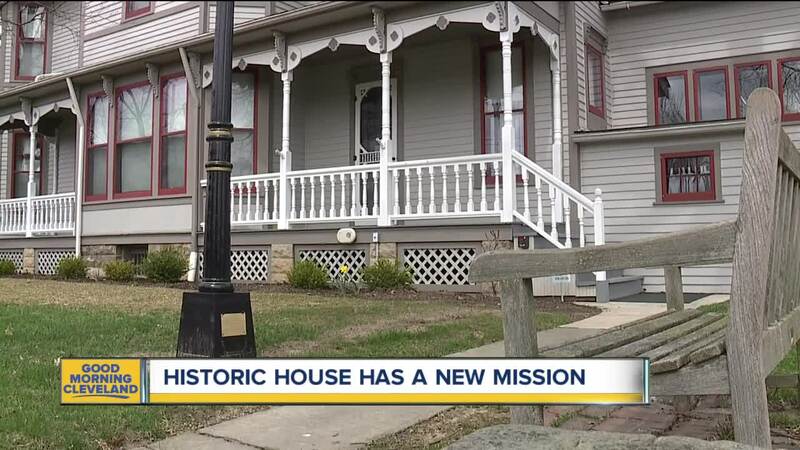 The historical society will stay in the John Smart house, but they'll eventually use the McDowell-Phillips home, one of it's biggest artifacts, to show off even more of the county's history for decades to come. The view out of the home's front windows has given owners a view of the village square since the home was built 130 years ago. Family records kept in the home will help local historians fill in some of the community historical blanks with original documents, helping the home that was built more than a century ago continue to send a clear message. "It was a home and the people that lived here have a significant story," said King.